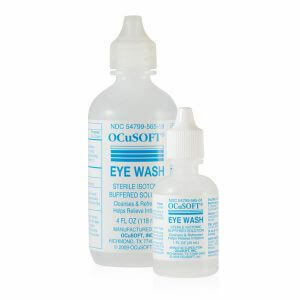 A heavy viscosity silicone lubricant made specifically for artificial eyes. Heavy viscosity is thicker for severe dryness or more extreme conditions. Occasionally, artificial eye wearers will experience dryness, irritation, increased drainage or difficulty blinking. This is especially true of hot, cold, windy, dusty or air-conditioned environments. All of these conditions tend to evaporate the moisture from the front of the prosthesis. View more of our artificial eye lubricants. Love the product, works well, but sure would like thy o find a way to lower cost. I was using another product that is no longer available. I am very happy to find something else that provides relief. So far I am very happy with Sil-Ophtho-H. Very helpful in inserting my scleral shell. Just wish the bottle wasn’t so hard to squeeze. I have used sol-optho for 8 years. Yours is the one that I have found to be the best for me. Very quick when ordering your product,and the product works great…. I had been using a different product for several years. I decided to change to this product I wish I had changed before this is so much better. This was a very smooth and quick transaction in getting the drops that I need for my prosthetic eye. Thank you. The service that Erickson Labs provide is just awesome. Ordered and received shipment with 3 days. Still hvnt received my order it has allway come in a few days in the pasted. I ordered this product number 22562, placed 12/10/2017 at 08:06 AM and have yet to receive this product. Please either send me the product in the next two days or refund me my money. I can be reached at 734-790-5971. I have ordered the eye lubricants from you in the past and as always you delivered my order to my home earlier than expected. I will definitely continue to order from you in the future. You are GREAT!!! Love it I just don’t know if I use it by itself or with the other products? Very easy to apply and works wonderfully to ease friction. Better than anything else I’ve tried. Low review because I payed $11. Additional for 2nd day shipment. It fid not arrive until 4 days. I have purchased this lubricant from Erickson Labs for abut 3 years now. I can’t find a product that meets my needs better! I always receive my orders promptly. Thanks Erickson!! Quick shipment and great product. I had a tendency to believe that the only place I could obtain these drops was through the eye clinic that I go to. I got on line and found that you carry the exact same type of drops that I need, and at a cheaper price. Once ordered, the drops arrived in just a few days. I am very impressed and plan to continue doing business with you in the future. Thanks!! Everything is OK. I am satisfied that the product is quickly arrived to me. Please tell me whether your silicone drops have a shelf life? This lasts a LONG time! And it gets rid of the HORRIBLE consistent non-ability to blink, because of dryness, which leads to fire burning eyelids! This does it’s job AND more for the price! Best product in my opinion. Have tried everything in the market both here in Australia and overseas and this comes up trumps!Brilliant…. Most of your competitors only offer UPS or FedEx shipping. Thank you for the more economical postal option. Great Service. I have place my order and my package arrived in two days. This stop burns my eye lids, however there doesn’t seem to be anything else on the market to keep my prosthesis lubricated. I had radiation and my tear ducts no longer function. I used restasis for years hoping that it would help! No such luck. I used occu-glide for years without any stinging. Alas it is no longer available. Now I feel the burn! It’s simply too thick. I thought it was going to be similar to the Ocu-glide but it’s much thicker. It was touted as a good replacement for the Ocu-glide but it’s really much different. I’ll keep looking. Silo works wonders. I place a drop of heavy and a drop of medium viscosity on my artificial eye for lubrication. This combo works great for me! This is a good replacement for Ocular Glide which was the absolute best before it was discontinued. Advertised as comparable to Optiglide but I used Optiglide for years and this product doesn’t compare. My advice to any with a prosthetic eye is to try some other viscosity. I was having trouble with my prosthetic eye drying out. Ordered Sil Optho-H and it works WONDERFUL. No more drying out. Only have to use it once or twice a day!! Thank you so much!!!! I received an email saying my order was shipped on 19 October. At this time 26 october, I have not received the order. It was supposed to take 3-5 business days. I need my order as soon as possible. I love the product. 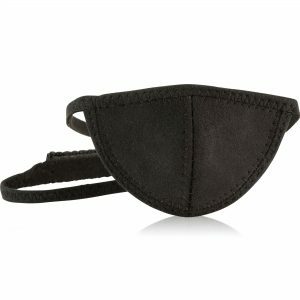 It really has made a difference in my eye comfort, and I was very pleased with how quickly my order was filled and delivered. I received an email saying my order was shipped on 8 September. As of 19 September, I have not received the order. It was supposed to take 3-5 business days. I need my order or a refund. Just add a drop and you’re good to go. I’m adjusting to this product after my previous product is no longer available. I have used the Heavy drops, and will try the thin drops soon. Would prefer a thin, clear, plastic bottle, as it’s tricky to squeeze and know that I’ve actually dispensed the product. The Heavy Viscosity lubricant has helped my dry eye problem significantly. While other lubricants wore off in much shorter amounts of time, the heavy viscosity lubricant provides more comfort for longer periods. I have been using this product for 5 years and I am very satisfied with the service I get at Erickson Labs. Product is very good. My husband uses it daily to lubricate his prosthetic eye. The product was also delivered in a very timely manner. I highly recommend this company. They are very knowledgeably & helpful on the phone. There products are very good & so is their shipping policy. I will be using this company for my future prosthetic eye needs. Excellent product – great price and super fast shipping! this product is ok but not as good as occuglide. Wish you would bring it back. I needed to find a replacement for my prosthetic lubricant and found Erickson Labs Northwest. After having used the Sil-Ophtho medium, I realized tha the heavy would be best for my eye. I sent a check and received the goods within a week. I have used the Sil-Ophtho heavy tonight and it is perfect. The gel works very well but almost impossible to get it out of the bottles. I have to pour it into another bottle to be able yo use it. Great product. Shipped and arrived in timely manner. I was hoping that these drops would be much heavier than they are. I have ordered the Ocu-Clear in the past and it lubricated my prosthesis but this brand does nothing for me. I received excellent service from Erickson Labs and my lubricant arrived sooner than expected. The heavy viscosity is so much easier to apply then the medium and I am completely satisfied. I think next time I should try the medium viscosity – a little too thick for me. Will probably take me 2 years to use this up, tho. Does this have a shelf life? Still using the last of my OccuGlide. If Sil-Ophtho-H is as good as your service I’ll give it a 5 star rating! Thanks. Great product, fair price and fast shipping. I highly recommend! I think this one better for me I think I might be having Allergys or too much protein coming out of my eye its always dirty so I have too clean it more so iam using more drops , any help on this matter would be great and appreciated. you thank again Maureen Murray. will order more when this bottle runs out. I received my product very promptly. I ordered this to replace my Ocu-Glide since this company has gone out of business. I am not sure which product in this line is similar. I ordered both medium and heavy viscosity. I found that the eye drops were very good and helped with lubrication and protection. I would recommend them to anyone. These worked especially when in high winds, they kept the eye from drying out and stopped the eye from getting sore. 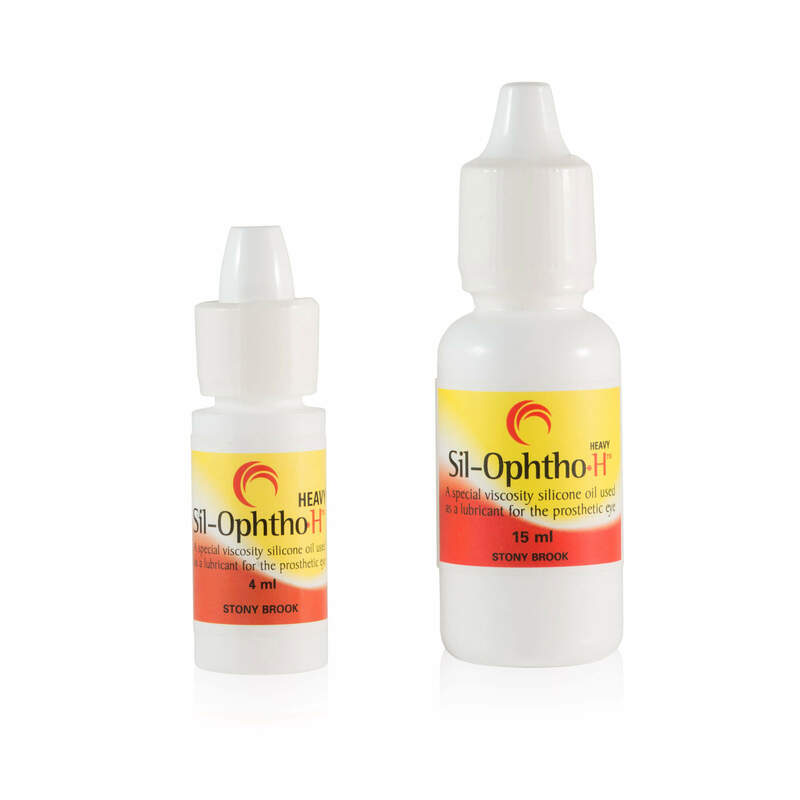 You have great products, Sil-Ophtho-H?, Heavy Viscosity, 15mL, and your service is excellent. The service was excellent. My one concern is that the bottles are very hard to squeeze to get the liquid out of the bottle. I was not able to use it so it was even more difficult for my mother. I had to find another bottle to transfer it to to be able to use the product. If there is any way to get bottles that make it easier to use it would be perfect. Been using this product for many years and it has always worked well. Thank you. So far the best product iv used to comfort the aggravaation of the artificial eye. I couldnt wait to recieve it and when I got it i was very pleased with the result. Great customer service from Rachel. Always very friendly when I call and very helpful. Winter always dries my eyes out, and saline solution only relieves it temporarily. This lasts for hours and it only takes a drop or two.